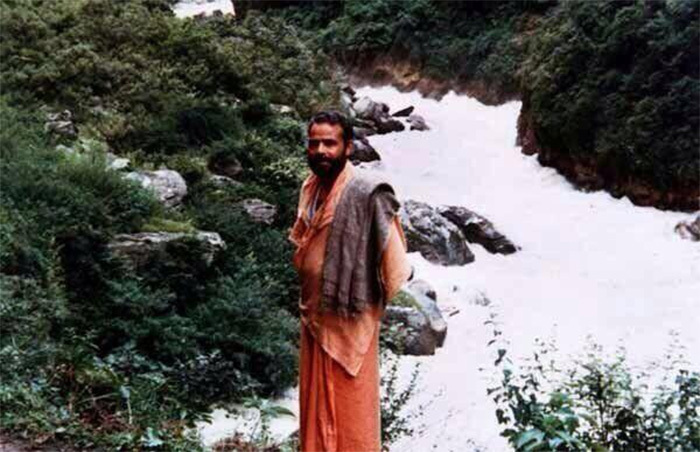 The following are some rare pictures of prime minister Narendra Modi living as a sadhu in himalayas in his younger age. According to Lord Krishna, the spiritual knowledge of Bhagavad Gita was originally meant for the raja-rishis, the saintly kings, who would help guide society with that divine knowledge. Let us pray that for first time modern India will be guided by a raja-rishi, and society will again be governed by dharma. Sitting on the banks of the Ganges in the himalayas. 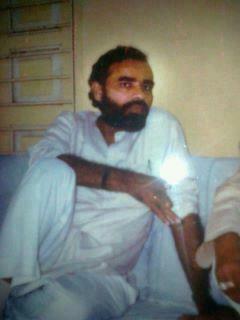 Here are some other rare photos of Narendra Modi in his youth when he was working for RSS. 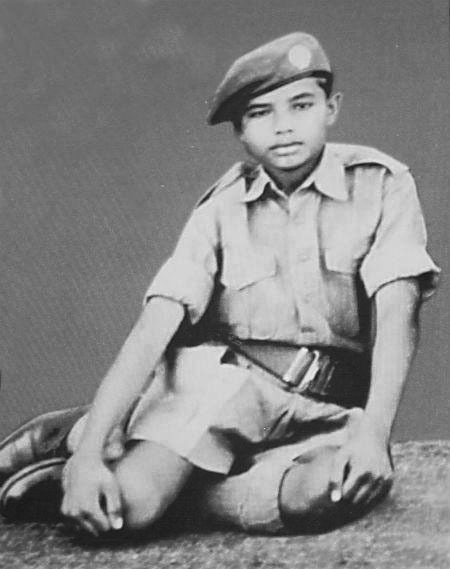 A picture of young Narendra Modi in which he is seen as a volunteer of National Cadet Corps (NCC). 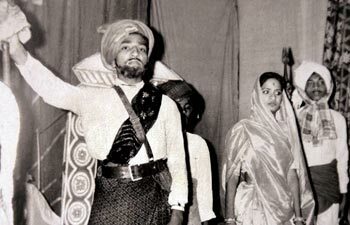 14 year old Narendra Modi is seen participating in a school play at B. N. High School, Vadnagar, Gujarat, playing the role of 19th century chieftain Jogidas Khuman who waged a principled armed struggle against the then rules of Bhavnagar, Gujarat. only a hermit can serve nation the best. only a yogi is worthy of handling administrative matters honestly and fairly.bhogi is rogi. yogi is real salt of earth. vande mataram. lord krishnah said when adharma has taken over bharath i will return to return dharma on the face of dharti ma. may the blessings of the divine mother shower you with guidance, honesty and true compassion to take our mother india to the highest realms. be the great leader your destiny ear marked you for. i pray with your good efforts our indian people will take pride in their surroundings and clean it up. the littering is too much by creating incentives for every plastic container, glas and paper we will begin to be part of the world class destiny of our motherland. i pray the divine powers vested upon you will provide housing for the poor in the inter city areas and outer city. i pray bhagwan vishnu in all his manifestation guides you ti recreate our path to somnath temple in to a citadel of grace on earth by beautyfying it with bazaars. this will provide tourist and income to the area. modi ji does not do this then who will . jai hind. this is my grandparents dharti ma. Give up all personal seeking for comfort, satisfaction, enjoyment or happiness. Be only a burning fire for progress, take whatever comes to you as an aid to your progress and immedi- ately make whatever progress is required. Sadhu bane pradhani. Hats off. Spirutual training as youth will help him to maitain calm while facing adverse circumstances. I am from Singapore but inspired by what Mr Modi has did and what he has promised to do for India. Regardless of which country we are born in, we are still called as an Indian and it reflects Indians as a whole.Mr Modi’s victory is not only Victory for India but also for those Indians abroad. I respect his ideologies and aims for Mother India! 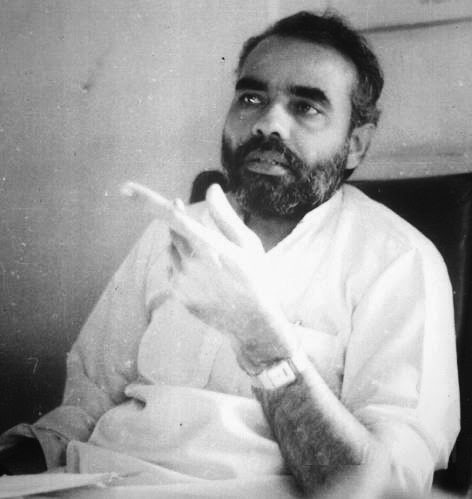 Really interesting Photographs of Mr. Narendra Modi, the Prime Minister-Designate! YADA YADA HI DHARMASYA GLANIRBHAVANI BHARATHI ….. Thank you very much for sharing rare photographs. I am sure Shri Narendra Modi will lead the country in the right direction. Hope he will be able to guide India and Indians for a long time in the right path to peace and prosperity. India is so lucky that after 10 years we again got a good Prime Minister who will lead India in difficult times also. EXCELLENT! A TOTALLY DEDICATED & SELFLESS SOUL WORKING FOR UPTHE UPLIFTMENT OF MOTHER INDIA & HER PEOPLE! KEEP IT UP! A man with dedication and hard work achieves his ambition goal. 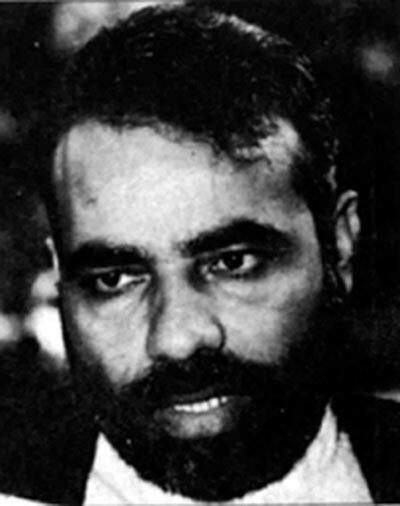 Further being a student of Occult science, I find the qualities of Saturn in Modiji, and his date of birth is 17 also. One thing is very clear if Modiji wants to do good for the society, he can do it. But he will face lot of opposition. IT IS PROBABLY HISTORIC VICTORY OF ELECTION IN INDIA SINCE IT GAINED INDEPENDENCE AS THIS TIME MODI ALONE GOT THE MAJORITY. He should govern with firmness as India needs a strong powerful leader and he now has the mandate to do this. India needs to change drastically in all fields.There should be no favors or special privileges for Muslims or any others. Those who are not comfortable to live in India SHOULD LEAVE., See the speech by Australian prime minister . Let him chose corrupt free ministers and any one is implicated in corruption should BE IMMEDIATELY REMOVED and replaced–this will deter corruption from TOP. G8 Many will love to see these pics! NARENDRA MODIJI WE ALL ARE WAITING FOR THE ACHCHHE DIN! AND WE ALL KNOW THEY WILL COME! AS WE BELIEVE IN NAMO! Really interesting. Had these were not published by you, we would not have known the other side of our beloved PM. 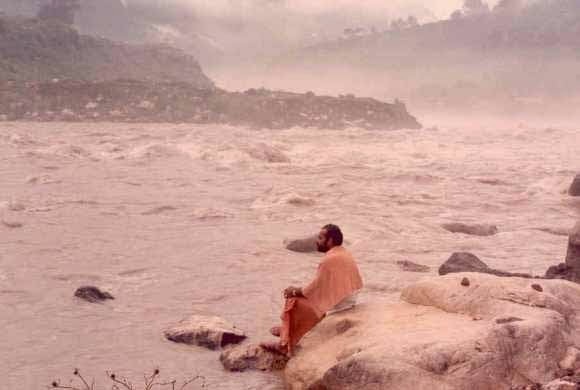 We have utmost faith in a man who has meditated in the Himalayas, as the mother nature would have blessed him with compassion, intelligence and hardworking characteristivcs. Bharth mathaki Jai, Hope will fill our dreams and it will take india to forward. Best of luck Modi and also he will have lot of challenges from oppostion parties and neighbour countries. Proud to be part of a country ruled by such great men!….and no I don’t belong to any party … I belong to my country alone! At last India has found the correct person foe leading the country in correct direction. a person belonging to AAM ADHMI group and raised to the leader of India. We see in him the determination and desire to bring back the glory of the country and deep sense of understanding the common man’s problems and alleviating the same and show the rest of the world that we are Indians with pride. It is our sincere prayer that his attempts and efforts for bringing INDIA to the fore front should be successful. IN 1947 WE GOT FREEDOM FROM “FOREIGNERS” . TODAY WE GOT THE TRUE BENEFIT OF GETTING INDEPENDENCE FROM OUR OWN POLITICIANS!! WHO SPOILED THE COUNTRY TO THE SCRAP. WE PRAY THE LORD ALMIGHTY & OFFER OUR SINCERE GRATITUDE FOR MAKING INDIA HIGH ESTEEM UNDER THE LEADERSHIP OF OUR BELOVED SHRI NARENDRA MODI JI! INDIA SHOULD UNITE & SHOW OUR STRENGTH TO THE OTHER NATIONS. MAY GOD BLESS INDIA & THE PEOPLE. Yes, the only hope for us now, is Shri Narendra Modi. He can transform India to be a great power if we follow his guidelines. He has great vision and we must support him by all our means.Jai Hind! sambhavami Yuge Yuge. Bharat ki Vikas. This shows, why he is unique gift for Bharat. This has been happened after many centuries, where a raja yogi became the leader. This is not normal condition of political change. This change will lead all the Indians to feel proud to be Indians and it’s culture. The neighbors feel safe and happy to be neighbors to India. For the prosperity of INDIA. Very nice.let us hope we will be seeing RamaRajya soon. Thanks. Good time to India. Best wishes for India under the rule of a spiritual leader! Let indians hope a RamaRajya now. I admire Modiji. He has the determination to come out of all adversities. 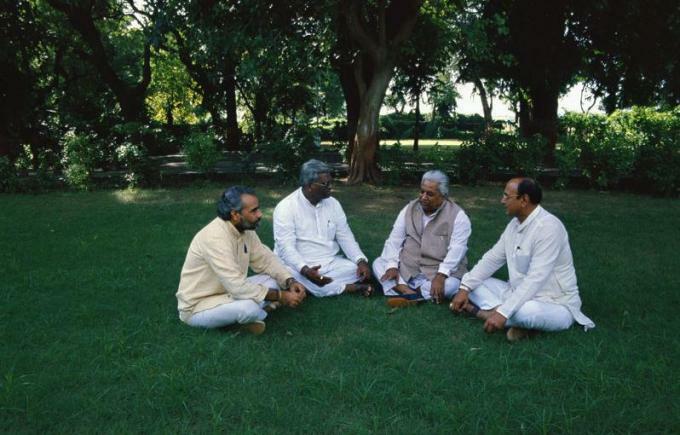 His adversaries tried to malign him during his Chief Ministership of Gujarat. But he always came out with flying colours. He has the ability to deliver the goods. India will attain prosperity under his Prime Ministership. We need people like Modiji to lead our country. 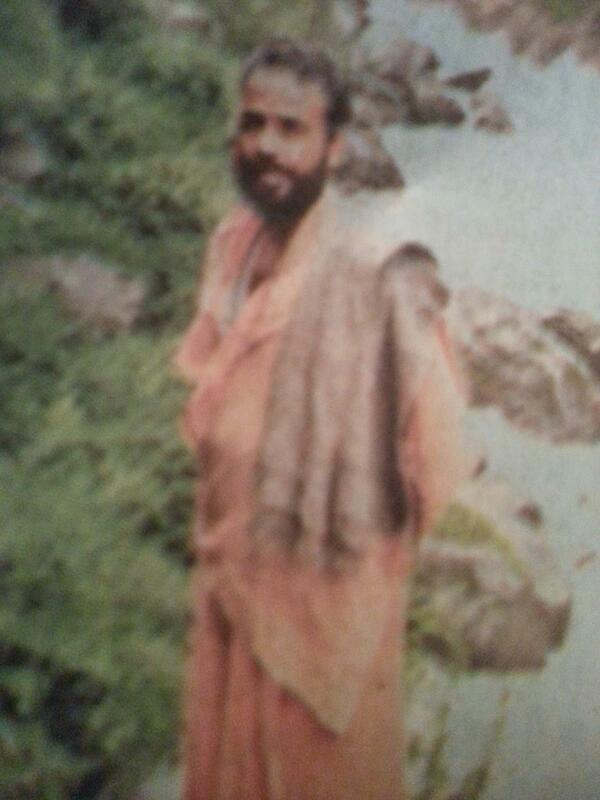 Thanks for bringing out the pic of Yogi Narendraji. Now we know the reality and source of his strength. We Indians are on the safe hand of great son of Mother India. Modiji while delivering talk on BJP parliamentary board meeting got emotional and revealed us his true nature and desire of serving mother India. God bless Narendra Moduji. God bless us all Indian. One Narenrda 121 years back pulled up India from darkness & showed her latent wisdom to the world. Today yet another Narendra is going to repeat the history. former was Swami Vivekananda & the later is our Modiji. Good old photos reminds that. PRACTICING WHAT HINDU DHARMA SASTRAS SAY. What a great collection of past about a person who was at the Grass root level and finally rose to lead our nation. It only Instills our confidence that sh. Namo can steer us / our nation out of this messy situation. Our best wishes always with him. God Bless !! 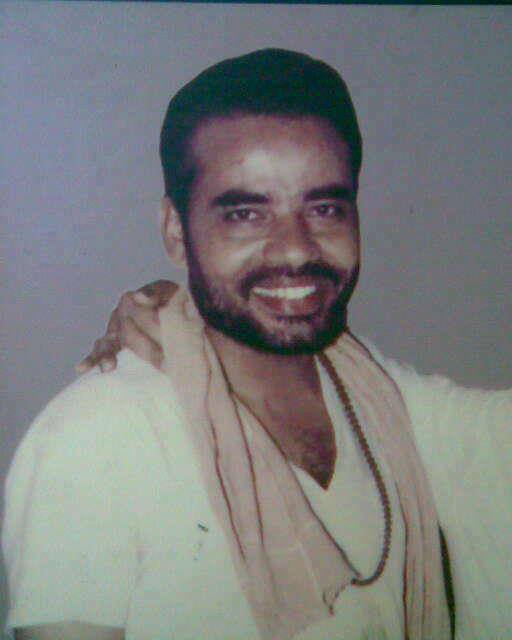 THANK YOU FOR SHOWING NARENDRA MODI PICTURE OF HIS YOUTH AS A SAINT. I PRAY TO LORD SHIVA AND LORD VISHNU TO SHOWER HIM WITH STRENGTH AND GUIDANCE TO STEER THE BHARAT AS A COUNTRY TO BECOME A WORLD LEADER IN ALL ASPECT. Its time for all Indian to unite together in the name of brotherwood for the GLOBAL indian change with great INDIAN leader to rose our indian pride to the world in time and bring social-economy to better living for all indian in this WORLD. India will see good times (acche din) in terms of righteousness(dharm) in a long time under a PM who is spiritual and world will see true heritage and power of India. He is a human being with deeply embedded values of India . He will succeed in alleviating the problems of poor and middle class alike .THE RICH WILL FEEL PROUD TO HELP HIM DO ALL THIS. Days of Gandhiji are coming . BETTER DAYS ARE COMING . Namo will never loot his mother (unlike previous government). Long Live Modiji and Pray for his Success to glorify Bharath Mata !! MR. NARENDRA MODI IS A VERY VALUABLE ASSET TO INDIA & WE MUST LEARN TO USE HIM AT AVERY RIGHT PLACE . u have given a wonderful article and pictures. 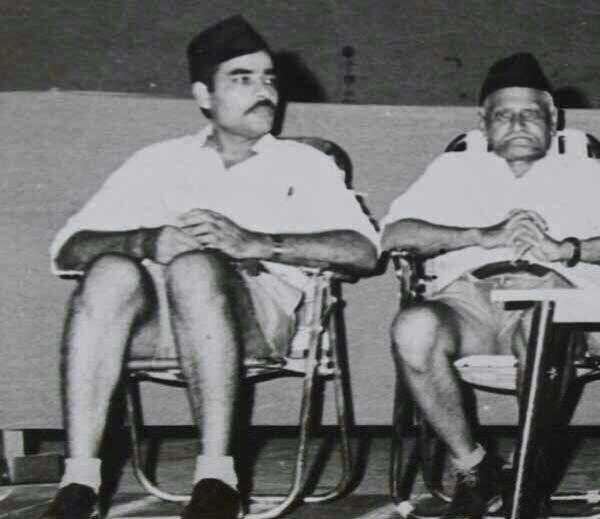 Seeing the pic with advani, now i can understand why he feels cheated, that an understudy who was a nobody, that i smodi, today i have to be under him eh ! 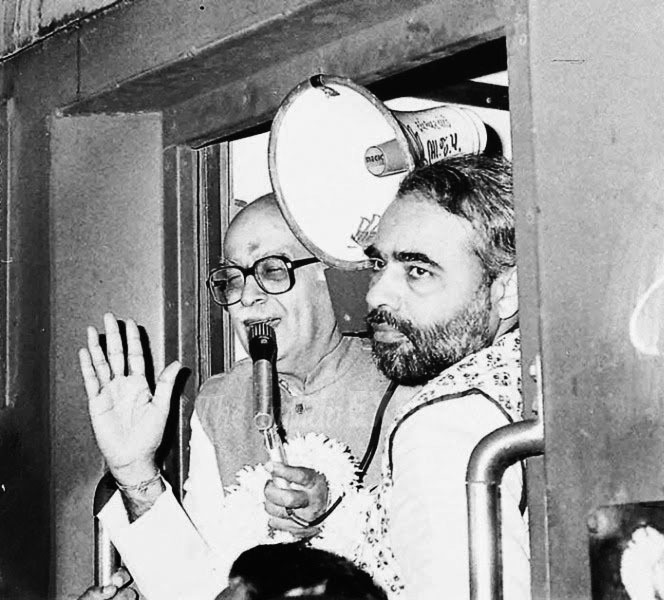 But advani must realize, that at one time he too was a nobody and he too rose up the ranks. And modi deserves it, and the way is modi wave, if there was no modi, i am sure congress would have again come to power, and sharing some seats with AAP too.But it was modi that got vasundhara her seat here in rajasthan, and then all the 25 seats of parliament. Hats off to Modi, i just hope that u do half of what u promiosed, that will be enough, and u have a lot of things to correct, and people are watching u, and ur friendship with reliance and adani, so please watch yr step, and both were there at the swearing in too/ And i hear u did not invite even yr brothers or mother ? Any reason for that ? i find that odd. Anyway those are yr personal matters, i just pray to god to give u strenght and wisdom to lead this country during this difficult times.God bless u. Seeing the pictures gives me great joy and pride in a man that believes in things greater than himself. Self-realization. He is not a self centered ego centric maniac you see these days in politics. First he learned in school as much as he could than we went on a self realization study in the holy places. He spent quite some time on that endures. He sacrificed personal life for the greater good of people. I completely understand him and his goals. My prayers and best wishes are with him. He is what I wanted to be… I listened to my mother and got in a family life. He did what he thought was right. It was not easy for him by any stretch of imagination. He went through hardships both; personal and family (I understand that…) If I could give 10 years of my life for him, I would ask the lord to gladly give him more time. People like him are far and few in between. I wish he accomplishes what the people would like to see (better organizations, less or no corruption, less red tape, take care of the environment, the people and the country). Jai Hind. Bharat Mataki Jai Ho. Great Our INDIA (BHARATVARSH) is in excellent hands. MAY OUR BHARAT MATA FEEL JUBILANT FOR THE FACT THAT AT LAST THE DEDICATED AND DEVOUT BHAKT AND SON OF HERS HAS BEEN DISCOVERED BY THE TRUE INDIANS. NOBODY CAN STOP OUR MATA FROM BECOMING A SUPER POWER IN THE WORLD. GOD BLESS OUR INDIA! Congratulations Shri Modi Ji, I am sure Mr. Modi will lead India to the highest realms of glory in the world economically, socially as just and peaceful society. Any political policies, laws and decisions which are based on Dharma will never fail. Shri Modi ji as an old Rashtarya Swaim Sewak- disciplined, resolute and determined man of principle seeking a united Bharat as secular and peace loving nation, will achieve all those. Swami Vivekananda in Sep./1883 at the world’s Parliament of Religions, Chicago, gave a new direction and new definition to the religion, so we expect from Mr. Modi to take Bharat to the path of progress religiously, economically making India strong, powerfu land united nation on the globe. Good luck and all the best. Hope he will promote Sanskrit language in whole of India. Teaching of French, Persian or any such language is worthless. Sanskrit should be taught from the 2nd standard in the schools as a compulsory subject. Atlast a cmmitted savior for our country is now our Prime Minister. Sri Modi has acquired all the qualities a ruler of a country should have. He has the commitment and capability to save our country and take it to its past pristine glory.He will do it , because he has an iron will and strong determination to act. simply great ! I wish him every success ! Ab achhe din jaroor aane wale hai ! GDP has grown to 5.5% this quarter and petrol prices going down and the goodness is flowing and see that too as a common man. Hope there is a Tsunami of goodness to ALL. GREAT PICTURES. VISIONERY COMES ONCE IN LIFE TIME EITHER FOR FAMILY OR FOR THE COUNTRY. WE ARE BLESSED TO HAVE VISIONERY FOR INDIA NOW. Modi has path-breaking ideas, maverick, nonconformist in his visions,there is a novelty in his approach towards all the conundrums that he faces ! He is a triumphant utopian !! We always had an impression about politics,that it is the domain corrupt, criminals, powerful and power hungry people. Finally we have the right man at the right place. A saint and politician, what a great thing for India. A strong spiritual foundation during young age will have better strong NATIONAL LEADER to lead the country. Keepit up. Our countrys future is bright and well protected in the hands of our Prime Minister Shri Narendra Modi. He is a remarkable human being .The tortures he has undergone through his political adversaries is unimaginable. But there is some one above has upheld the truth and ensured that a sincere , honest and unquestionable integrity is the PM of our country and we have no doubt that he will be an all time great leader of our great Nation . Wishing him all the strength and health . 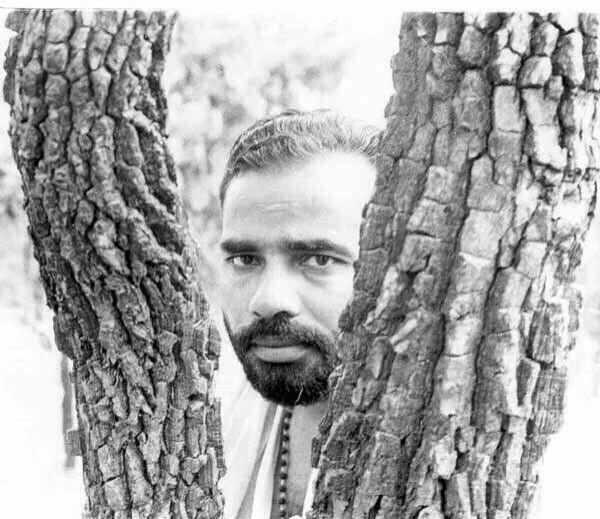 Nice to see some photographs of the younger Shri Narendra Modiji. Really very proud of our honourable Prime Minister Shri Narendra Modiji. May our honourable Prime Minister Shri Modiji lead our country on the path of peace, prosperity, justice, righteousness and welfare. May he rule our country for long and save us from the foreign woman/ family of congress party. All Indians are one and equal whatever religion, caste, region they belong. WE ARE INDEED LUCKY TO HAVE MODIJI -A PERSON WHO HAS THE MIND OF A RECLUSE. DOES NOT WANT ANYTHING FOR HIMSLEF. Years and years back, I used to write in Leave a Reply in newspapers and I used to ask mothers in India to give Hindustan a true serving son of the nation, and I leapt with joy upon hearing the first address I heard from Modi Ji. I knew India had dug up that leader. Every time I visited India, I was pained to see so much of poverty, so much of dirt and pollution, the absence of law and order and mostly of the emergence of a dacoit and what not set of people of a certain community making life in India a hell for the majority. Even now after so much of dealing with unhealthy social situations, I am pained to see the way people broke Modi’s heart in a thousand pieces during state elections in Delhi and Bihar. Modi is living to uplift the poor and the low and he will not let go till his dreams are realized. On behalf of the heartless Indians who hurt him, I say a BIG SORRY to Modi Ji and wish him good health and good luck. jai Hind! Jai Shree Krishna!!! We finally have a true leader for our beloved country, as Narendra Modi Jee. There will always be oppositions, without which a government cannot function properly. The Honorable Shree Narendra Modi Jee is taking every opposition in His stride, yet fulfilling His duties as a True Leader. I have high hopes that finally India is moving in the right direction. May God Bless Shree Narendra Modi Jee and God Bless Bharat Varsh. JAI HIND!!!!! A future prime minister in the making with a solid background of yoga with philosophical thoughts.Here is a man who can steer India not only in the right path and also will bring glory to our Nation. But one wishes that he develops a dignified attitude when dealing with the opposition. 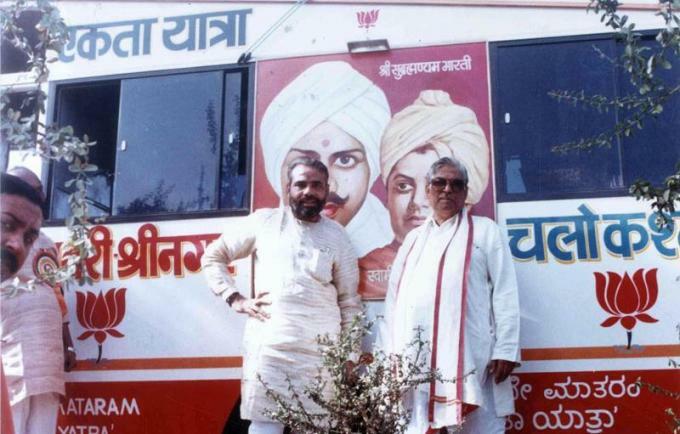 WONDERFUL AND PRECIOUS PHOTOGRAPHS OF SHRI NARENDER MODI ,OUR REVERENT PRIME MINISTER, THESE PIKS NEED BE PRESERVED BY EVERY ONE AS REVERENCE. 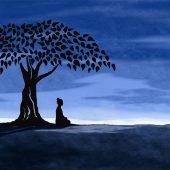 The jivan mukti is a rare oppotunity. Only those who are merited in this life may achive it. The Godhead is siva- shakti and this only tantra yogis know it. I always look forward to hear Modiji’s speeches and see him on TV. His talks are very motivational to young and old alike. His photos of younger days speak some thing about his determination and discipline in his life. Long live and God bless him to accomplish his cherished goals and usher in ‘achhe din’. Modiji really a Raja Yogi and Bharat Mata is feeling proud of him and his actions for the upliftment of Hindu-Culture in true spirit. Assended Divine Masters are working through him in every act of him. All indians(at least self styled Hindus) should extend heart- full support for glorification of Bharat in all it’s entirety. May all supreme forces shower all blessings in full potential on Our Modiji and his team. Fantastic….Hope to see original BHARAT during our livelihood..Since Saint took the leading position as guiding star. I am happy to say that the future president of my country, the USA, will most likely be a practitioner of yoga — Hillary Clinton. She told how she was better able to withstand the relentless attacks of her opponents thanks to yoga. Of course, “yoga” is mostly misunderstood in the West as asanas and such, but the true spirit of meditation and service is never far behind. Please somehow get these pictures published in the anti national Newspaper The Times of India and all other Media. Seeing these photos and looking the ways of modi’s admnistrations really i am full of confidence and faith in modiji that this is the person who is the greatest prime minister of india in present, past and future. we the people of india arw fortunate to have the person. Nice to see the Transformation. Indian are Lucky to have this person as the man at the Helm of the Job. A country such as India is indeed blessed by having such a religious man as a leader which is very rare in my country I entreat all Indians including those in the spiritual path to help him with their minds and prayer. Thanks God head Krishna for directing Narendra Modi to Raj Dharma for India to flourish Righteously as guided in Sri mad Bhagat Geeta. May Everyone be on Righteous Path to Serve India Honestly and Patriotically. Narendra Modi Ji is a follower of Bhagavad Gita and believes in doing actions without seeking any rewards for those deeds and actions. Let the knowledge of Bhagavad gita spread further while he leads the country. A true servant of the country is Modiji. After a long time not long time, but after the Independence of India we have an Indian saint who is at the helm of the affairs of our country. the country hope to get a saintly justice under his able leadership. Wonderful !!! A man with a vision !!!!!!! 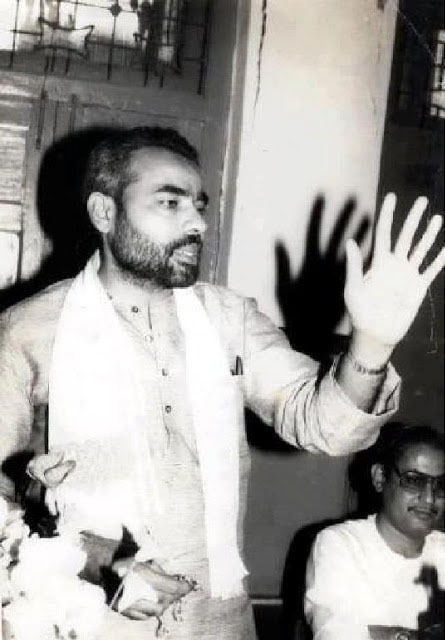 Modiji had raised to the spiritual level from the physical and mental levels in his youth itself which is a very rare achievement in human life. Due to this Spiritual enlightenment only , he realizes Eswara In Sarva Bhuutas. That is why he lives in the hearts of all the Indians. Only NAMO and no one else can free Bharat from corruption. Long live Bhagwan Narendra Modi. He is an Awatar. at last someone who cares about this bharat and its vedic culture as P.M.long live MODI. After of India’s independence we have a practical, innovative and he looks and sacrifices for Indian people . His vision is very paramount and applies his entire time for the welfare of entire India. He assess opponents exactly and fix them in way that they never stop him from developments agenda. The remarkable of love and great respect towards Smt. Hiraben his mother. This revealing fact will never fail him whatever he plans to do good to entire India. PreviousWhy do we apply Sindoor to Lord Hanuman?